The sufficiency of Scripture – that the Bible is the very Word of God and able to accomplish all He desires in and through your life – is a lost truth in many pulpits. After reading an article by Barry Thornton on the ills of the “Emergent church”, published by The Christian Restoration Association and available here, I felt provoked to respond. I was not provoked in a negative way but in full agreement with the content of Mr. Thornton’s article. I agree that the Bible needs to be brought back – and in the most prominent way possible – to the pulpit. More than that, it needs to be the very basis for your and my life as a Christian! The premise of the article is that the Truth of God’s Word is being intentionally hidden in many of the Church’s pulpits. Falling into the trap of post-modernistic thinking and logic, the argument is that the church needs to “emerge” or “evolve” with culture instead of against it. The argument typically goes that the church needs to reflect the culture and be more like it in order to reach it. Never mind that this is completely contrary to the call to “…be holy as I am holy…” (1 Peter 1:16), given by God and meaning to be separated and dedicated to Him in obedience. The results are churches that lack any degree of distinctiveness from the culture we’re called to reach. Now, this could get deep into the recent arguments for the “social gospel” and other destructionism, critical race theory, and social justice movements within the Body of Christ, but I’d rather not go there. At least not yet. Suffice it to say that Christ did not call us to change the culture but to make disciples. The trend toward postmodern and “culturally relevant” preaching has all but eliminated the Bible and God’s Word from preaching and teaching in America’s churches. Biblical illiteracy and ignorance is deeper and broader than at any time since the first century. The result is, unfortunately, many false conversions and people claiming to be Christian who have never been saved (see Matthew 7:13-27). Here at DTLC our motto or slogan is Potential to Transform. This based on the truth that every believer has the potential to transform his or her life by understanding and obedience to God’s Word and His will for your life. It’s not a complicated secret but it is only found in the pages of the Bible. In response to Mr. Thornton’s article, I felt prompted to deliver a sermon here in Phoenix on Psalm 19. 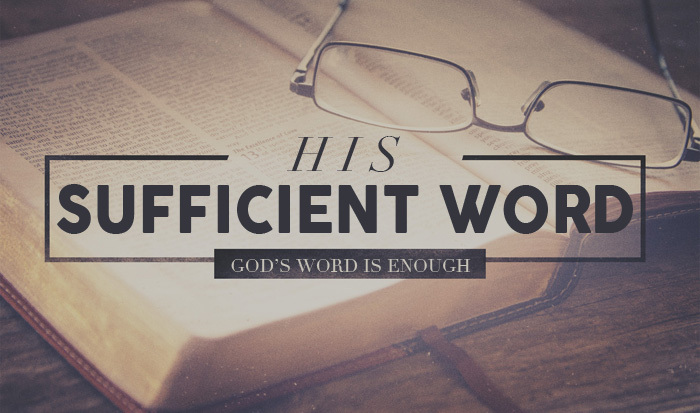 Just fourteen short verses that declare the sufficiency and intent of God’s written word. I have decided to share it with my listeners and hope that it will be eye opening and challenging to your spirit. God has spoken…and we had better hear!